Leading Apex NC workers comp lawyer Jesse S. Shapiro was first admitted to practice law before the State Bar of North Carolina in 2000, after four years of undergraduate study at Colby College in Waterville, Maine, and three years of study at Campbell University, Norman Adrian Wiggins School of Law in Buies Creek, North Carolina. Mr. Shapiro was active in the Law School Student Counsel and was president of the Law Student Civil Rights Research Counsel for two years where, among other things, he organized trips to Texas and Florida to help men, women and children seeking political asylum in the United States. Shortly after graduation, Mr. Shapiro gained admission to practice law in the following additional jurisdictions: U.S. District Court, Middle District of North Carolina; and U.S. District Court, Eastern District of North Carolina. Mr. Shapiro spent the early years of his practice as a criminal defense lawyer and then moved on to defend insurance companies and self-insured businesses in workers’ compensation and personal injury claims. Call (919) 775-5653 or contact us and set up a free consultation to speak with our experienced workers comp lawyer Jesse Shapiro about your case. After spending more than five years learning the art of workers’ compensation law in North Carolina as both a plaintiff’s lawyer and a lawyer for the insurance companies, Mr. Shapiro decided to open his own law practice in Apex, NC. 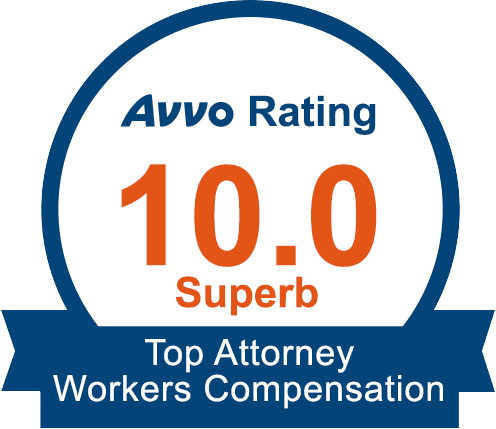 Mr. Shapiro started his practice with the idea of focusing on helping injured workers across North Carolina obtain the workers’ compensation benefits they may be entitled to. He uses his insurance defense experience to aggressively represent his clients in court and during settlement negotiations. In 2015, Mr. Shapiro joined Wilson, Reives & Silverman, PLLC, bringing his experience and passion for representing injured workers to Lee County, Wake County and beyond. Jesse Shapiro is one of a small percentage of North Carolina Attorneys who is Board Certified as a Specialist in Workers’ Compensation Law by the North Carolina State Bar. Mr. Shapiro represents and protects the rights of injured workers across the state of North Carolina and generally focuses his practice in Raleigh, Cary, Apex, Durham, Fayetteville, Sanford, Southern Pines, Greensboro and surrounding towns and counties. Having an experienced and skilled workers comp lawyer can be significant for many people. Workers’ compensation is an insurance required by all employers with three or more employees in North Carolina. This insurance is designed to give specific benefits to employees who have been injured by an accident on the job, or have been injured as a result of an “occupational disease” such as asbestosis, carpal tunnel syndrome or hearing loss. Workers’ compensation is meant to ensure that employees who are injured on the job don’t have to carry the burden of medical bills on their own, and to compensate for wage losses directly related to the accident or to permanent physical impairments. In 2011, Mr. Shapiro was recognized by the North Carolina Advocates for Justice Workers’ Compensation Section “for extraordinary service rendered and in furtherance of the preservation of justice for injured workers in North Carolina.” Mr. Shapiro currently serves on the Executive Committee for the NCAJ Workers’ Compensation Section. Mr. Shapiro and his wife, Jennifer, have one child. The Shapiro family loves to cook together and go to music festivals, and on hikes, fishing adventures and historical road trips. From his experience as an insurance defense lawyer, Jesse knows how the insurance companies evaluate and defend their workers’ compensation claims. Jesse puts that knowledge to good use by fighting for people who have been injured and have had their lives turned upside down. Call today at 919-303-1116. Our consultations are FREE, there are no attorney fees unless you recover. Don’t delay…Schedule your free consultation today.